Huawei Technologies Co. Ltd, one of the biggest giant in networking and telecommunications industry from China has officially announced it’s two new invasion in the foray of it’s prodigious Ascend Series of Smartphone’s as,”Huawei Ascend Mate and Ascend D20″ at Consumer Electronic Show 2013 being held at Las Vegas Convention Center. 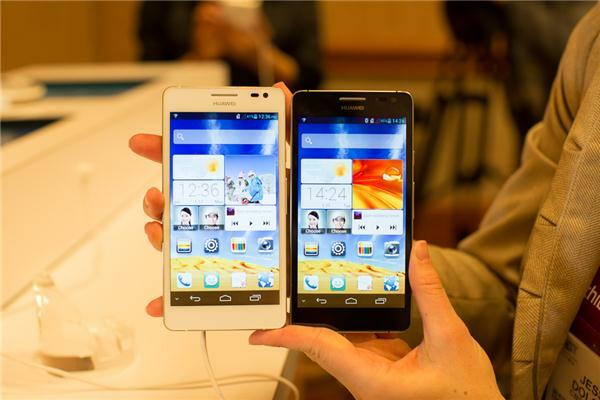 Huawei Ascend Mate sports a descent 6.1 inch TFT capacitive touchscreen display with 720 x 1280 pixels resolutions. Flourishing the display, this device offers 16M colors with ~241 ppi pixel density. To protect the display, screen is protected with Corning Gorilla Glass Protection. To make it more portable and easy to carry, device weighs around 198 gms. Enumerating towards it’s platform dependence, this device runs on Android v4.1 (Jelly Bean) Operating System powered with a Quad-Core Processor clocked at 1.5 GHZ, Chipset K3V2. This device supports the latest version of HTML (HTML 5). Highlighting towards it’s Storage element, this device packed up with 2 GB of internal memory which can be easily extendable up to 32 GB via micro SD support, it’s quite similar storage specifications as we see in all entry level smartphone available in the market. To automate or easy many of our daily tasks almost all the Smartphone comprises of Sensors, this device incorporated with Accelerometer, gyro, proximity, compass sensors. Huawei Ascend Mate is equipped with a miro-sim slot which support 2G GSM (850 / 900 / 1800 / 1900). Enumerating it’s Connectivity, this device supports GPRS with EDGE connectivity, WiFi (802.11 b/g/n, Direct, hotspot), Bluetooth V4.0(latest version) with A2DP, it also supports USB v2.0. As far it’s downloading speed is concerned, it delivers HSDPA 42 Mbps and HSUPA 5.7 Mbps. In terms of Photography, this device is equipped with a 8 MEGAPIXEL of camera with autofocus and LED flash technology, enabling the user to virtue nice picture quality experience even at low vision, it do support secondary camera of 1 MEGAPIXEL. Geo-tagging, face detection, HDR are listed in terms of features under Image Optics. The Huawei D2 cherishes 5.0 inches TFT multitouch capacitive touchscreen display with 1080 x 1920 pixels resolutions. This device comes with the same platform and same power specification as of Ascend Mate. In terms of Photography, this device supports an astonishing 13 MEGAPIXEL of primary camera with autofocus and LED flash technology, it also support secondary camera as well. Enumerating towards it’s Storage, this device supports 2 GB of RAM with 32 GB storage but does not support micro SD card slot. However, the Connectivity Specifications are same for both the Smartphone however their is no news about the pricing till yet. Few week earlier, Huawei launched Ascend G330 officially and now with two new versions in Ascend Series company sees to give a tough fight to it’s companion.